If longevity is the strongest measure of success for a business, then Al Larson Boat Shop is easily one of the most successful maritime businesses ever to operate in Southern California. The marine repair facility, located on almost eight acres at the Port of Los Angeles, celebrates its 110th anniversary this year. Back when Al Larson Boat Shop was founded in 1903, the President of the United States was Theodore Roosevelt, the U.S. Fish & Wildlife Service was just coming into existence and the Panama Canal was still over a decade away from being completed. In fact, the repair business is so long-lived that it actually pre-dates the Port of Los Angeles itself; it wasn’t until December 1907 that Los Angeles city officials created the Board of Harbor Commissioners, which marked the port’s official founding. It’s so long-lived that it has outlasted the man it was named after by nearly half a century. The original owner, Al Larson, died in December 1963, almost 60 years after opening his boat repair shop. Larson was born Dec. 9, 1874 in Mariestad, Sweden, the son of a farmer and youngest of nine children. After immigrating to the United States by way of Ellis Island, he moved to San Francisco in 1890 at the age of 16 and served an apprenticeship at the trade of a boat builder. For 12 years he worked the yards of well-known Bay Area boat builder George Kneass. Larson relocated to San Pedro in 1902 and was a foreman in the yards of H.E. Carse for a short time before opening his own boat yard in 1903. According to historical records, Larson’s first lease was in an area near where the Los Angeles Maritime Museum now sits. The original terms of the lease were $12 a month in rent for three years, with an option to buy the lease for $1,000. After having some success, Larson leased an adjacent piece of land six months later for an additional $5 a month. Over the following decades, the business moved a few times and bought, sold and leased various parcels of land. But through it all, the business continued to thrive, particularly during the war years, when the shop built about 10 military craft and converted six fishing vessels for coastal patrol duty. It stopped building vessels in the late 1940s, however, to focus on repair work. A turning point for the company came in 1959, when San Pedro native Andy Wall Sr., a former Los Angeles police officer and Coast Guard aviator, bought the boat shop and kept the name. Wall, who was also a graduate of Southwestern Law School, had worked for his father-in-law, John Rados, at the Harbor Boat Building Co., until Rados sold the company, leaving Wall searching for another job. He eventually, approached Al Larson’s son Adolf, who had been running the business for his aging father, about buying the shop and the rest is history. “When my dad bought it in 1959, we had five employees at the time; now we have 80,” said Jack Wall, Andy Wall Sr.’s son and the business’ current president, said. After taking over the business, Andy Wall Sr. began upgrades of the business that would help it grow into what it is today, including improvement of the hauling systems and the installation and operation of a dry dock in the early-to-mid 1960s. In 1964, the shop received a permit for the operation of an adjacent 140 slip small boat facility, Larson Marina, which still exists to this day. A permit to operate a 200-foot pier adjacent to the dry dock operations followed in 1968. The boat yard continued its growth throughout the 1970s and early 1980s but suffered a setback when owner Andy Wall died suddenly in 1986. After his death, the business was taken over by his widow, Gloria Wall who, as the daughter of former Harbor Boat Building Co. owner John Rados, had been born into the boatyard industry. After her retirement in 1996, Jack Wall, who’s now 66, took over as the company’s head, with younger brother George Wall, now 65, taking on the role of vice president. Now, after seeing literally dozens of boat building and repair companies come and go – some of which were much larger and better financed – Al Larson’s is the only shop left. As currently constituted, the Al Larson property on Terminal Island consists of 2.35 acres of land and 5.35 acres of water, including the adjacent marina, which has 128 rental slips for vessel sizes ranging from 20 feet to 50 feet. George oversees the marina, as well as the boat shop’s facility at the Port of Long Beach, which consists of docks, warehouses and offices, but no ship repair operations. Regarding the boat shop’s longevity and ability to thrive, Jack Wall partly attributes it to the business’s personnel. And part of the reason why his employees stay is that the company takes care of them. One of the many employees who vouch for the owners is yard superintendent Larry Castagnola, who’s worked in the industry since 1976 and has spent 13 of those years with Larson. Those words were echoed by quality assurance manager Joe Hutchins, who’s been in the industry about 35 years and previously worked for Todd Pacific Shipyards, Bethlehem Shipyard and Southwest Marine before moving over to Al Larson in 1986. He also said part of the key to the business’s longevity has been to not overreach. “I think the ability to stay small and not get too large and keep it something they can handle, manageable,” has been important, he said. In addition to the personnel, another factor in the company’s ability to thrive when other yards have failed is the type of work Larson does and the business it attracts. “We have a diversified clientele now; if you walk out in the yard, we have a Long Beach Fire boat right, we have a Coast Guard boat in the yard, we have a Crowley tug in the drydock right now; the only thing we don’t have right now is a barge. Generally, we do a lot of barge work, we’re doing a lot of repowering. Jack Wall says that the company completes about 200 jobs annually and in a given month sees a dozen or more boats. For the past 10 years or so, the company has operated with two shifts and is operational from 6:30 am to midnight, something that has been a constant, even in the midst of the most recent economic downturn and recession during 2008 and 2009. The increased business and cramped space led to the company submitting an expansion proposal to the Port of Los Angeles in June 2008, but things have progressed slowly. The proposal would add another tenth of an acre to the existing land for increased vessel maintenance and repair, as well as new wharves and a new travel-lift boat hoist. An Environmental Impact Report for the proposed multi-phase $15 million project was approved in July 2012, but a major sticking point remains. Castagnola, the yard superintendent, said he believes the port isn’t looking at the big picture and that non-approval of a lease would be a major blow to the boat shop. 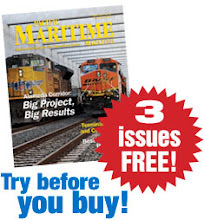 When contacted by Pacific Maritime Magazine for this story, the port’s environmental and real estate departments declined to give much insight, citing ongoing lease negotiations with the boat shop. The port’s communications office, however, confirmed that the lease remains month-to-month at this point, but said there are “no further developments or timetable updates at this time” regarding progress on hammering out a new long-term lease. Jack Wall, however, said the company should know within the next few months whether it will get the long-term lease it seeks. But not having it, he said, would make the expansion project much more difficult to finance. The entire experience of dealing with the port has been a frustrating one for Larson management. As the company commemorates its long history, it’s using the present to plan for the near future, a future that depending on certain decisions made, could dictate whether or not the facility has a shot at being around another 110 years.